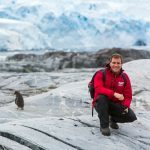 In partnership with polar explorers Robert and Barney Swan and their 2041 Foundation, on February 28, 2018, The Explorer’s Passage had the pleasure of taking 90 incredible environmental leaders from across the world to Antarctica on a special expedition called IAE/ClimateForce: Antarctica 2018. 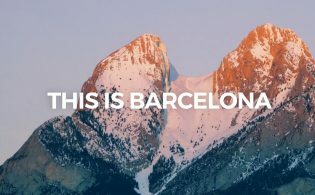 Participants on the expedition were from 18 countries and ranged from renewable energy entrepreneurs to environmental professors to one of the leading climate change policy executives on the planet. Also aboard were two individuals from the United Arab Emirates (UAE) who were on the expedition to mark a very special event for their country. The year 2018 marks 100 years since the birth of the late Sheikh Zayed bin Sultan Al Nahyan, the founding father of the UAE, who passed away in 2004. To commemorate this historic national occasion, His Highness Sheikh Khalifa bin Zayed Al Nahyan, president of the United Arab Emirates has declared 2018 to be officially known in the UAE as the Year of Zayed. The Year of Zayed will feature a series of events and initiatives in the UAE and internationally designed to commemorate the memory of the late Sheikh Zayed, showcase his impact and legacy, and promote the values he displayed throughout his life in creative and interactive ways. The Year of Zayed features a number of initiatives that honor the late Sheikh Zayed in both the UAE and abroad. © The Explorer’s Passage, Inc.
Sheikh Zayed bin Sultan Al Nahyan’s vision for his country was fueled by a passionate belief in environmental sustainability. He worked tirelessly to build institutions that would help to protect UAE’s environment. As a result of his efforts, in 1995, the World Wildlife Fund bestowed it’s highest conservation award, the Golden Panda, to Sheikh Zayed. 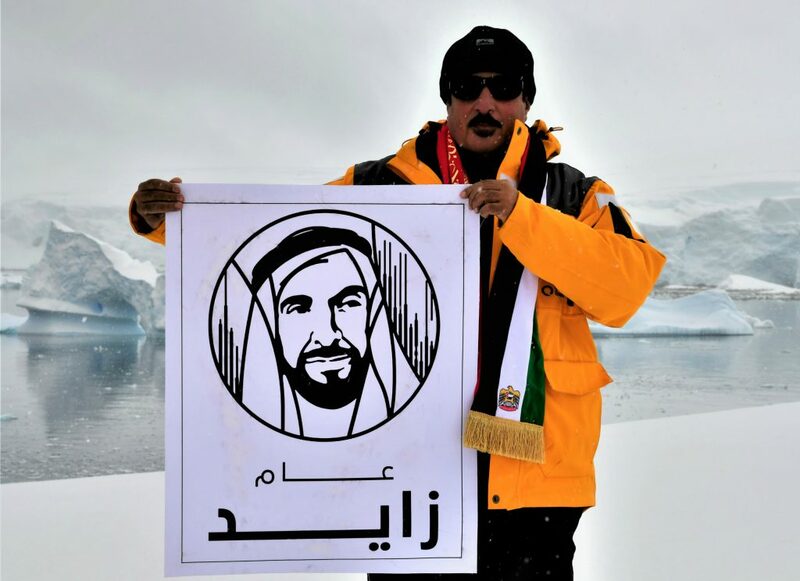 With this point in mind, two Emirati citizens, Mr. Abdulla Belobaida and Mr. Ahmad Ismail, traveled from Dubai to Antarctica — approximately 50 flying hours and 13 days at sea for more a total of 21,500 miles round-trip — in order to raise a flag for the UAE with a Year of Zayed logo and pictures of the UAE president, vice president, and crown prince. Both Mr. Belobaida and Mr. Ismail said what they have done is nothing less than offer a return of generosity and gratitude to the father Sheikh Zayed, may God rest his soul, and to their country and its president and sheikhs. They also said the UAE will always be a beacon of hope and optimism and a model of the ability to achieve the highest levels of success with determination, clarity, and vision. 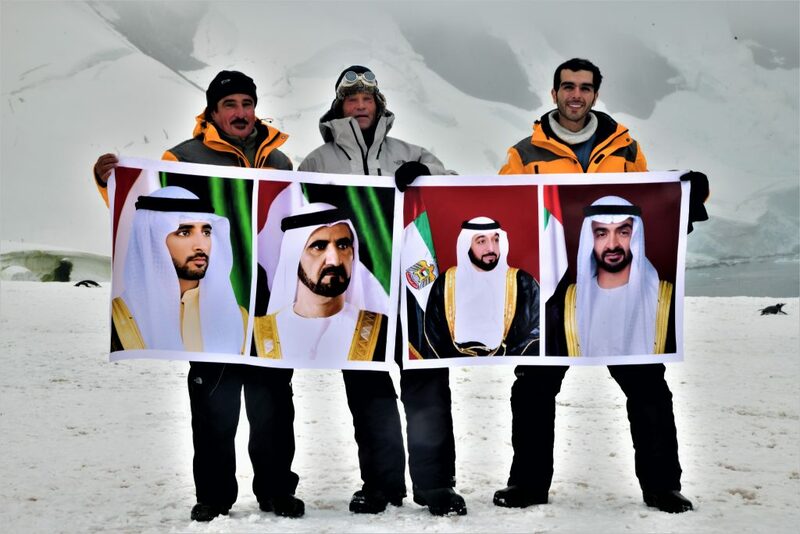 Mr. Abdulla Belobaida and Mr. Ahmad Ismail traveled to Antarctica with The Explorer’s Passage to raise a flag for the UAE with a Year of Zayed logo and pictures of the UAE president, vice president, and crown prince. © The Explorer’s Passage, Inc. The strategic partnership with the 2041 Foundation on the ClimateForce Expeditions draws upon some of the most extraordinary people doing great things to help protect our planet as well as bring nations closer together for a more peaceful future. 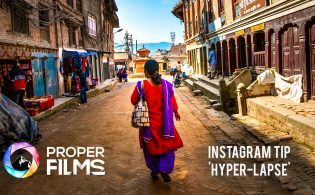 It is a privilege to have the opportunity to meet and work closely with the future change makers of the planet through the experience of adventure travel. 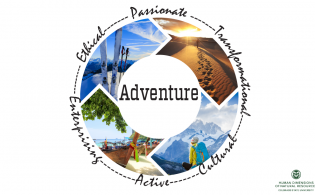 The Explorer’s Passage is a proud member of the Adventure Travel Trade Association (ATTA), which is a supporter and host of events in the Middle East where the focus is on enabling entrepreneurs and building sustainable businesses that are driving environmental and community benefits. Here in UAE we are proud of people like Abdalla and Ahmad who show our gratitude to the founding Fathers and current leaders of our country .